The Volumetric Lab at CultureHub is an open source, member driven community dedicated to exploring 3D interactive software and hardware. 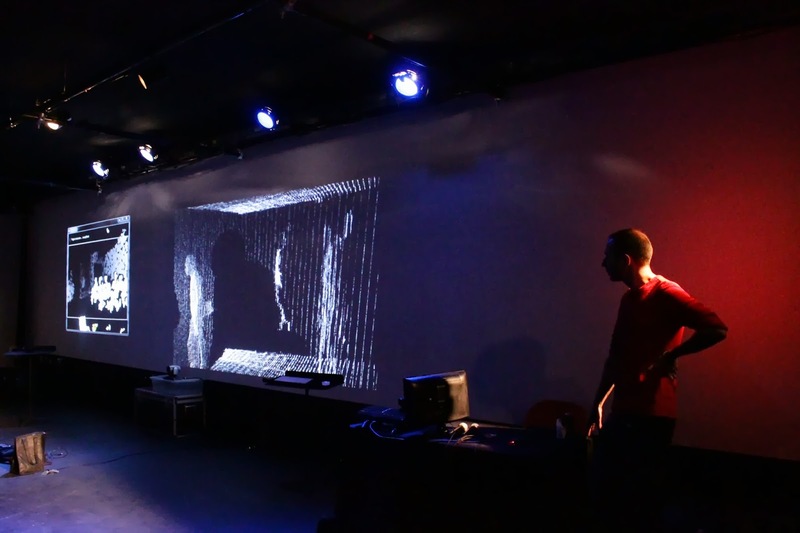 Artists, innovators, and educators engage with interactive motion sensing technologies such as the Kinect and other depth sensing cameras to produce an array of research and experimental art projects. This post explores iBeacons. It may have been announced only quietly, but it is going to have a big impact on how we perceive computing, and on the so-called Internet of Things. iBeacons technology is being promoted as a service, particularly for innovative brick-and-mortar retailers to differentiate via micro-location, context-aware apps and analytics. However the technology has an equally powerful reductive effect on privacy, for those who choose not to be conscientious and self-impose limits. I've been attending the newly-formed Volumetric Lab weekly since the RGBDToolkit workshop got me started with depth video. It's a fun and experimental workshop run by Volumetric Society's Ellen Pearlman and CultureHub's S.O. O'Brien. The lab's initial run culminated with the kick-off party for the new Volumetric Society season for 2013/14 yesterday. It was a great event with high energy and a confident feel. We put out a call to other artists and tinkerers who might want to attend the Sunday lab. Wow! Just had to share this for all of you struggling with the RGBDToolkit calibration process. I just remounted my depth sensor to my camera, and re-ran the correspondence calibration. It failed completely - a total fail. But then I hit Regenerate RGB/Depth correspondence again, without changing anything - and I got this really solid-looking calibration! Every day we are surrounded by people we don't know. In every city a mass of people paradoxically leads to greater isolation and individualism - or does it? What is beyond this narrative? What social and spatial cues take over when we don't know the people surrounding around us? How are we engaging in a shared sense of space, and are when and where are we conscious of it? What is the role of this limited but intimately connected cultural cohesion? How does our physicality and embodied awareness contribute to this spatial conversation? In this video Brian Eno talks about the motivations behind his visual art practice. There are some great quotes in here, and sentiments I think many of us share, like not being able to sit down and fully appreciate the time-stretched presence of your creation until an audience is in front of it and you can no longer change it. This is a sketch I made from RGBD footage I took last week, at The Sampler in Bushwick. I'm experimenting with the post-production effects in the RGBDToolkit Visualize app, creating kind of an avalanche of effects to try to become familiar with the possibilities.